Playtech is the largest online gambling software provider in the world, and their casino software reflects their status in the industry. 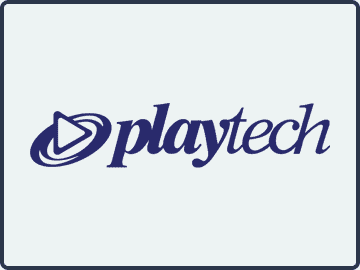 Playtech is a company that has done extremely well for themselves since they first launched in 2000. One thing to know about them from the beginning is that they have a very diverse offering with different types of software for many different types of gambling, and their online casino offering is just one facet of that. Along those lines, if you play at a Playtech-powered online casino, there is a greater than average chance that they will have other Playtech-powered products such as online poker, bingo, sports betting, etc. What we’re looking to do in this review is give players the information they need to decide if Playtech is a good option for them in terms of looking for an online casino. Not everyone has the same wants and needs, so there is no “one size fits all” recommendation that anyone could give about any casino or software package. Instead, we want to show you what you need to know to make your own decision by putting all of the information you need in one easy-to-access place. Something you’re going to notice about the best Playtech casinos is that they tend to only use software from this one provider. This is a bit different than the direction that the industry is taken as a whole, and there’s a good reason for that. Many of the best casino sites to use their software have been around for at least a decade, and they come from an era when having games from multiple software providers wasn’t necessarily a viable option because of technological restraints. Along these lines, they also have a long history of taking care of players, which goes along well with their licenses from the United Kingdom and a number of other countries and jurisdictions to show that players can really trust them. Playtech tends to have a bit of an old school feel to it in a lot of ways, and you can see this in their selection of platform options as well. To get the complete selection of their games in front of you, you’ll need to use the downloadable installer to actually install the software on your computer. Typically, only players who use a PC with a Windows-based operating system will be able to use this particular platform. Alternatively, there is a web-based platform that runs in your browser as well. The main advantage of this platform is that it allows players who have Mac- or Linux-based computers to get in on the action with no download required. The main disadvantage is that you will not get access to their complete library of games. The main focus of any online casino in today’s industry will be their slots, and Playtech fits into that pattern really well. They offer some classic, three-reel games, but the majority of their slots are based on five-reel, video slot formats. Over the years, they have been fairly aggressive about getting the licensing rights for games based on popular video games, books, televisions shows and especially movies, and their Rocky game based on the entire series of Rocky movies is a great example of that. The production values of these games range from below-average in some cases to extremely strong in others, though on average, their games are definitely well above average. The table game arena is pretty strong for Playtech, and they offer up a complete selection of all of the classics that you’d expect to find. This selection includes Bacccarat, roulette, craps and a number of different casino poker and blackjack games. The aesthetic appeal of these games is pretty solid, but you can tell that they were worried more about giving players a strong, gameplay-oriented experience instead of trying to overly impress them with over-the-top graphics and sound. Paired up with this is the fact that Playtech also has their own live dealer offering of games. Some Playtech-powered sites may not have this live dealer game selection, but when they do, you’ll get Baccarat, roulette and blackjack to choose from with casino hold’em and three card poker showing up from time to time on a less regular schedule as the other three games. These live dealer games have high-definition video feeds, and that allows you to watch a real, live game unfold in a real casino-like studio setting with actual human dealers. This essentially gives you the best of both worlds between the online casino interface and live casino games. We typically prefer to roll video poker in with the table games, since that’s the standard industry practice. However, the video poker selection for Playtech is so good, we believed it needed its own section. Their selection includes the extremely important “Two Ways Royal” game, which gives players a chance to earn a payout rate of up to 99.8 percent with a house advantage of as low as 0.2 percent with pretty simple strategies. A total of at least 12 different video poker games are available at these casinos overall, including some multi-hand versions. A big name with a long history and multiple licenses that prove they are trustworthy. A large and varied library of titles, including a live dealer casino. Multiple platforms to allow players to play from different types of computers and mobile devices. New releases aren’t very frequent from this developer. Not all of their games are available in the instant play and mobile platforms. Playtech is without a doubt one of the biggest names in the online gambling industry on the software side, and this goes for online casino play as well. They have a large catalog of games, and many of the casinos that use this software have been around for a very long time. While they only really have a few new releases each year, the quality of those games is outstanding, and they make it easy for players to access their already impressive collection of titles. Overall, this is a fine software provider for people to choose, though it might not be the best option for everyone.